Made in collaboration with famed illustrator Kate Knapp, the Ashdene Ruby Red Shoes London 5 Piece Kids Dinner Set is the perfect purchase for your child. 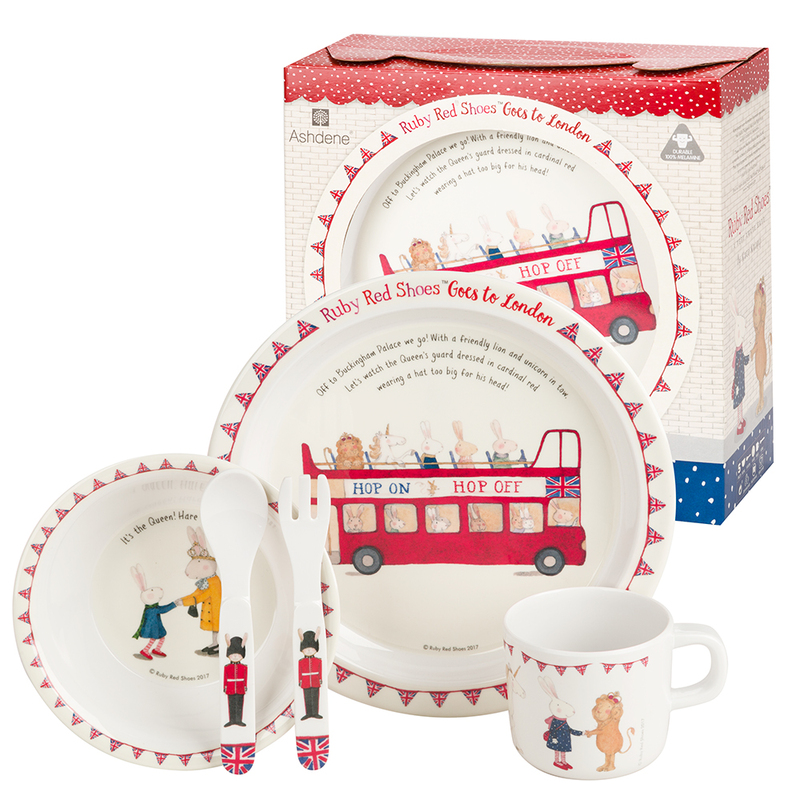 Featuring five lovingly made pieces of dinnerware, each with illustrations of Ruby Red Shoes’ trip to London, it has a playful feel to it that you and your little one are bound to love. Made from durable melamine, this set is sure to last – designed to survive any accidental falls. Presented as a set of five in an Ashdene Ruby Red Shoes gift box. Cup – 7cm (h) x 7.5cm (w).